New York, Oct 4, 2012 (Global Fashion Wire) - Fashioning Our Industry and Open Source Fashion are proud to announce that they are joining the Fashion Digital New York conference as Marketing Partners. Hear from Bonobos, Lucky, Saks, and Warby Parker, among others, at the industry's newest and most innovative conference on the confluence of commerce and content on October 10, 2012. Register today to meet many of the most active and influential players in online apparel retail and publishing. Only $249 to attend Fashion Digital New York on October 10 and be sure to use Promo Code FOI25 to receive 25% off this rate when registering. Advance Registration ends Thursday, October 4: $249 (register now and save $100 vs. full rate of $349). VIP upgrade are also available for an additional $250; this gets you access to the VIP reception. All conference registrations include breakfast, lunch, and post-event attendee reception. The conference will feature a keynotes from Mindy Grossman, CEO of HSN, Greg Selkoe, Founder & CEO of Karmaloop, Craig Elbert, VP of Performance Marketing for Bonobos, David Gilboa, Founder of Warby Parker, and Brandon Holley, Editor in Chief of Lucky. Strategically scheduled between New York Fashion Week and Cyber Monday, FDNY showcases experts and industry leaders who are using proven and emerging techniques and strategies to deliver extraordinary results. Hundreds of retailers, publishers, and e-commerce enablers will be in attendance for this powerful informational and networking event. - Kathy Savitt, Chief Executive Officer, Lockerz; Future CMO, Yahoo! - Brian Sugar, Chief Executive Officer, Sugar Inc.
Craig Elbert is the VP of Performance Marketing for Bonobos, a premium menswear brand that has been recognized for its exceptional fit and great customer service. Elbert is responsible for aligning analytical insights to the humorous spirit of Bonobos' brand marketing. 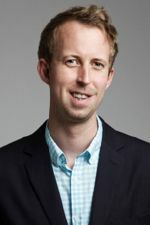 He oversees consumer acquisition efforts and works with the Bonobos team to ensure data, such as click-thru rates, conversion and other key metrics are used to make smart marketing decisions. Elbert was previously the VP of Finance and Analytics at Bonobos. Prior to joining Bonobos, Elbert worked in Lehman Brothers' Investment Banking division and served as a Financial Analyst at Warner Music Group. Elbert also has experience working with Ad Sales Strategy at MTV Networks and Business Development at Universal Pictures. Dave is the Co-Founder and Co-CEO of Warby Parker, a transformative eyewear company that designs and sells vintage-inspired glasses for a fraction of the price of retail stores and distributes a pair to someone in need for every pair sold. 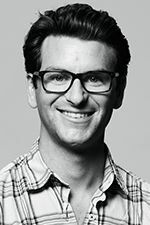 Prior to Warby Parker, David was an Associate at Allen & Company, a merchant bank, where he invested in seed-stage and venture-stage healthcare and digital media companies, and advised M&A transactions exceeding $20B. Previously, David worked at Bain & Company, where he formulated and implemented business strategies for some of the world's leading retail and technology companies. David was also Special Assistant to the Founder and CEO of The TriZetto Group, and has held strategy and business development roles at Genomic Health and Crescendo Bioscience. Brandon Holley is the Editor in Chief of Lucky, the award-winning magazine about shopping and style. Before joining Lucky in 2010, Ms. Holley was the Editor in Chief and business lead of Yahoo! Shine, one of the largest online destinations for women, since 2007. Under Ms. Holley's leadership, Yahoo! Shine attracted 25 million visitors per month. Her appointment at Lucky marks a return to Condé Nast for Ms. Holley, who was Editor in Chief of Jane from 2005 until 2007, when it ceased publication. In 2001 she launched ELLEgirl where she remained editor until 2005. Ms. Holley served as senior editor at GQ from 1998 to 2000. She was also part of the launch team of Time Out New York where she served as the dining and shopping editor from 1995 to 1998. She started her magazine career as a writer for Paper magazine and worked as a fact checker for Rolling Stone. 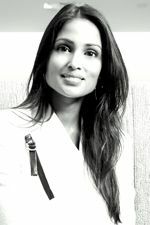 Kinjil Parikh is the Vice President of Digital Marketing at Saks Fifth Avenue and is responsible for driving incremental revenue online and in stores through all digital marketing channels by acquiring new customers and retaining existing customers for increased market share via strategic initiatives derived from customer analytics. She manages a multi-million $ budget portfolio with impactful ROI goals for the company. She also has proven success in leading new business development by spearheading the marketing strategies for Saks' flash sale business, FashionFix, and Saks' International business. VIP Upgrade: +$250 (gets you access to the VIP reception) - to be eligible for a VIP upgrade, you must purchase registration as well. All conference registrations include breakfast, lunch, and post-event attendee reception.